Atlas Air Worldwide Holdings, Inc. has completed its acquisition of privately held Southern Air Holdings, Inc., a premier provider of intercontinental and domestic CMI (crew, maintenance and insurance) services, in an immediately accretive transaction for cash consideration of approximately $110 million, subject to customary adjustments. The company did not assume any debt in connection with the acquisition. The strategically compelling, highly complementary combination provides Atlas Air Worldwide immediate entry into 777 and 737 aircraft operating platforms with opportunities for additional growth, enhancing Atlas Air Worldwide’s position as a leading global provider of outsourced aircraft and aviation operating services. Southern Air is the parent company of Worldwide Air Logistics Group, Inc. and its two operating subsidiaries, Southern Air, Inc. and Florida West International Airways, Inc.
“We are proud to welcome Southern Air, its operating companies, and its professional, experienced workforce to the Atlas family,” said William J. Flynn, President and Chief Executive Officer of Atlas Air Worldwide. “Together, we will be a stronger, more diversified, more profitable company offering access to the widest range of modern, efficient aircraft for domestic, regional and international applications. Southern Air’s five 777 and five 737 CMI aircraft complement Atlas Air Worldwide’s 747 ACMI (aircraft, crew, maintenance and insurance) and Charter operations, its 747 and 767 CMI services, and its freighter-centric Dry Leasing portfolio of 777, 757 and 737 aircraft. In total, the companies will have a fleet of more than 75 aircraft. Consistent with prior guidance, the combination with Southern Air is anticipated to add approximately $100 million in annualized revenues to Atlas Air Worldwide. 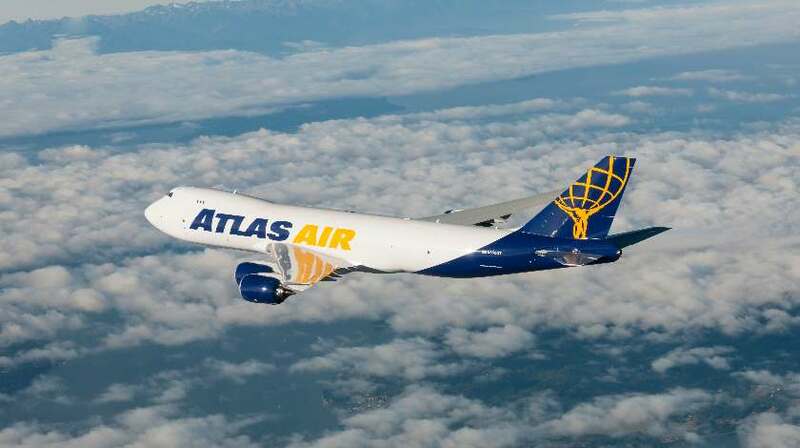 It is also expected to be immediately accretive to Atlas Air Worldwide’s adjusted earnings per share in 2016 with EBITDA and adjusted net income margins in line with Atlas Air Worldwide’s. Reflecting the company’s balance sheet position, Atlas Air Worldwide funded the acquisition of Southern Air using available cash on hand. Atlas Air Worldwide is a leading global provider of outsourced aircraft and aviation operating services. It is the parent company of Atlas Air, Inc. (Atlas), Southern Air Holdings, Inc. (Southern Air) and Titan Aviation Holdings, Inc. (Titan), and is the majority shareholder of Polar Air Cargo Worldwide, Inc. (Polar). Atlas Air Worldwide’s companies operate the world’s largest fleet of Boeing 747 freighter aircraft and provide customers the broadest array of 747, 777, 767, 757 and 737 aircraft for domestic, regional and international applications. Atlas, Southern Air, Titan and Polar offer a range of outsourced aircraft and aviation operating services that include ACMI service – in which customers receive an aircraft, crew, maintenance and insurance on a long-term basis; CMI service – in which customers receive crew, maintenance and insurance but not an aircraft; express network and airport-to-airport cargo service; cargo and passenger charters; and dry leasing of aircraft and engines.